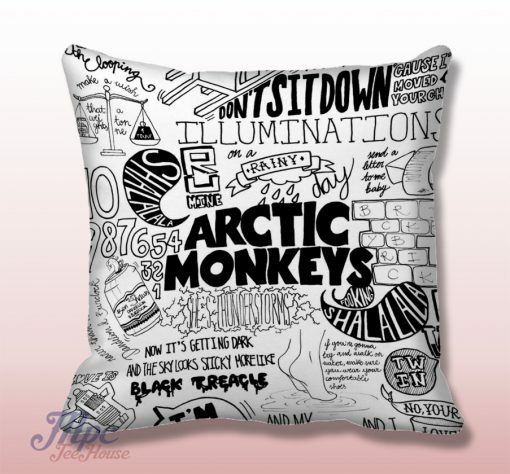 Arctic Monkeys Lyrics College Throw Pillow Cover. Fine quality USA handmade decorative throw pillow cover. Front and back of pillow cover are same. Hidden zipper closure. This pillow cover comes in indoor or outdoor fabric in the size of your choice. 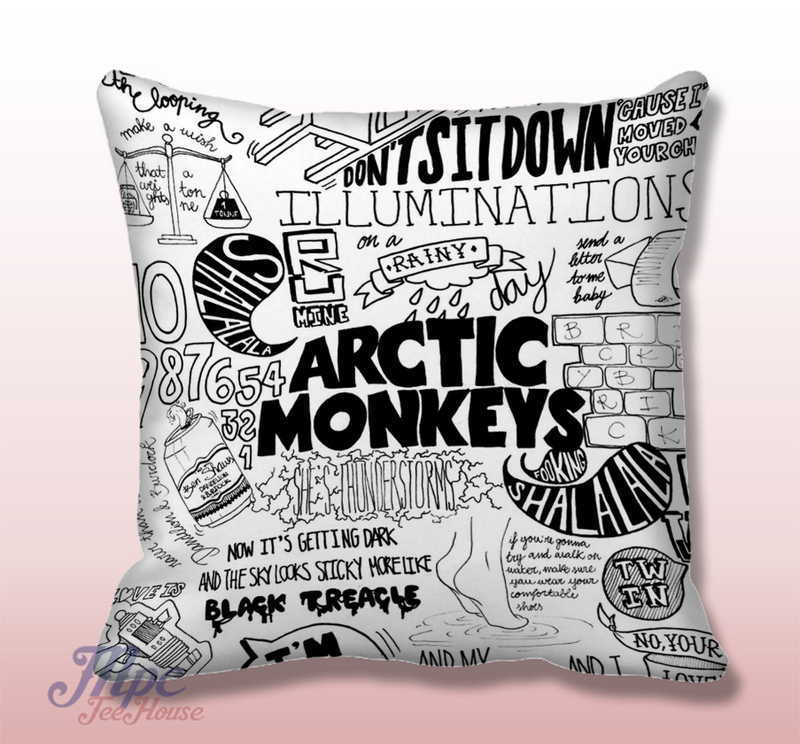 Indoor Throw Pillow Covers are made from 100% spun polyester poplin fabric, while the Outdoor Throw Pillow Covers are made from made from weather- and fade-resistant 100% spun polyester poplin fabric.